Vice President Leni Robredo has issued a dare on Duterte running mate, Sen. Allan Peter Cayetano to speak against the Marcoses in spite of his loyalty to President Rodrigo Duterte. 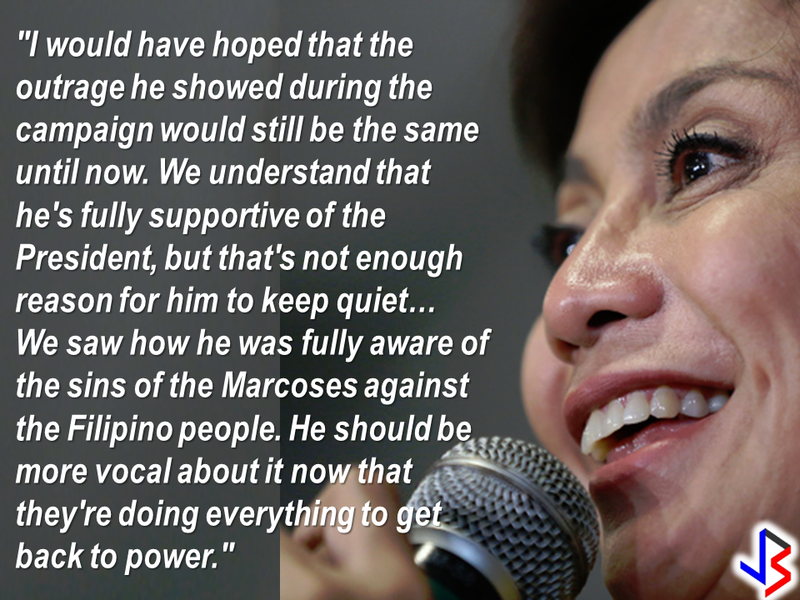 Robredo said that Cayetano's loyalty to President Duterte should not hinder the indignation he showed towards the Marcoses during the campaign period. Duterte consider the Marcoses as friends and Ferdinand Marcos burial to the LNMB was a fulfillment of his campaign promise. 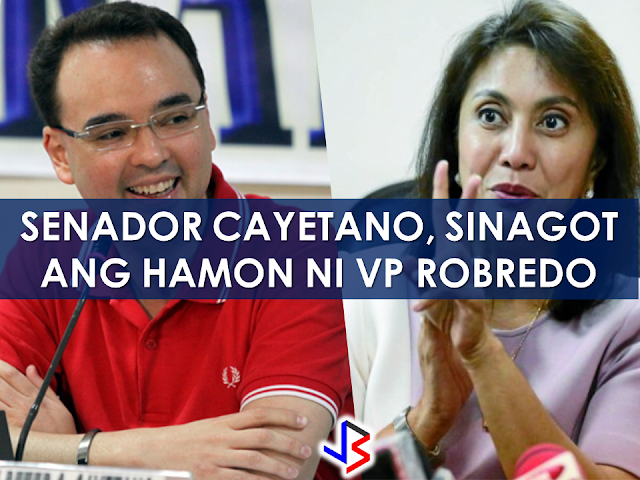 However, Senator Cayetano responded to the Vice President's dare. "It is not my job right now to keep voicing out my opinions sa kalye," Cayetano said, amid criticisms over his silence on the matter. Thank you for the challenge. Let me assure you I am doing what I can, in the manner that I believe I can be most effective. Ask how and why the drug problem got so bad and out of control. Call out and demand that your LP allies involved in illegal drugs resign and be jailed. Ask for justice for the SAF 44. Ask for justice for tanim bala victims. Ask for an investigation and justice on MRT anomalies. 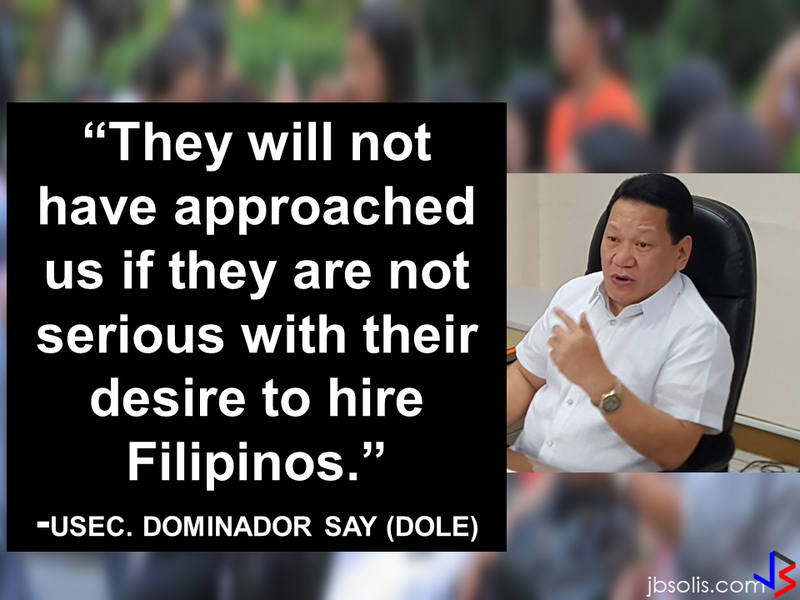 Expose other LP personalities' involvement in graft and corruption. Ask for an investigation why despite expensive fees in the airport in the past admin, no CCTVs were purchased and installed. Ask the PCIJ, Rappler and Inquirer to look into your donors and undeclared expenses during your campaign. Ask ABS-CBN, and other media outlets that supported you to be fair and objective. You were quiet about all of the above, but I respected your role and decision. There's much more, but in a nutshell I challenge you to stop campaigning and thinking of The Presidency and help attract investments, build infrastructure, create jobs and redistribute wealth in our country. The vice president has not issued any response yet as of this writing.